It’s been a few years since I was at Cardiff’s Principality Stadium, fifteen to be precise, when on May 26 2003 I was there with my youngest daughter, Miriam, for the English Championship play-off final. With Wolverhampton Wanderers beating Sheffield United 3-0, promotion to the promised land was secured. My overriding memory from that day was the Matt Murray penalty save three minutes into the second half, that without doubt was a massive contributory factor to the satisfactory conclusion come the final whistle. This time round it was to watch Wales v Spain in an international challenge match. 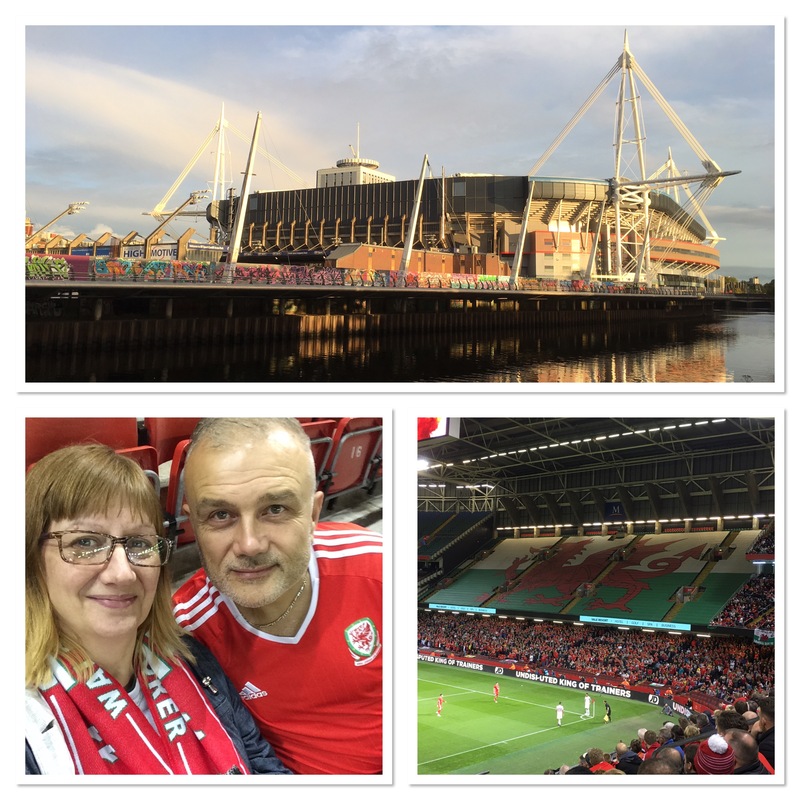 Usually the internationals are at the Cardiff City Stadium, so it was nice to pay a return visit to the Millennium Stadium, as it was known back in the early days. My last visit to the capital, just a couple of weeks ago, saw The New Saints on the wrong end of a 4-1 scoreline at Cardiff Metropolitan University FC. It was a case of déjà vu as an identical result saw Wales fall short this time round. You win some, you lose some but the important thing is to see the big picture and not allow your mood to be governed by the result of a football game. For as much as I am a passionate fan, I never allow my state of mind to be determined by something over which I have no control. I had a couple of tickets for the game so my wife, Debby, came along as always. Like me, she has Welsh roots as well, although I think she’s more of a Gareth Bale fan than anything else. On a personal level, my Welsh heritage means a lot to me. We had a nice afternoon in Cardiff and although the journey there was straightforward, the return leg home to Wolverhampton was anything but. Due to road closures and some long-winded and complicated diversions, we made it home in the early hours of the morning. The life of the football fan is understood only by the football fan. Although I work full-time in the beautiful game, I’m still a fan and whether working or watching, it’s all football, it’s all good. Check out my groundhopping pages HERE.